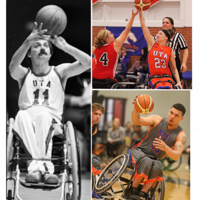 The Movin' Mavs Homecoming Wheelchair Basketball Tournament is an Intercollegiate and Division 1 Wheelchair Basketball Tournament with some of the best teams in the country. Several Paralympic athletes and USA National Team athletes will be representing their College or Community programs in some of the toughest competition in the country. There will be games in both Men's and Women's Divisions.